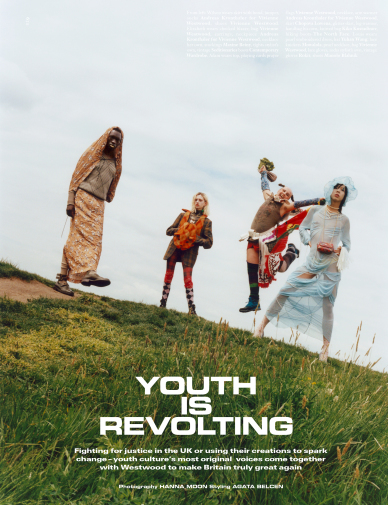 Hanna Moon photographed UK youth culture’s most original voices together with Vivienne Westwood and Andreas Kronthaler for the cover of Dazed Summer 2018 issue. 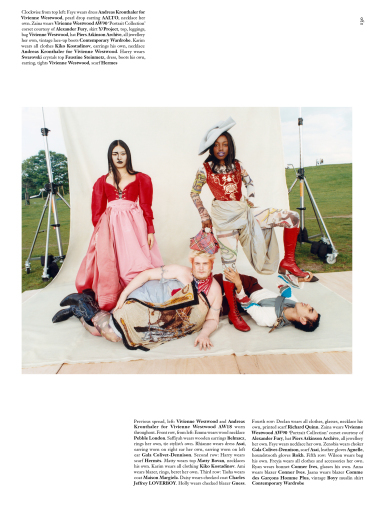 Dazed, Summer 2018. 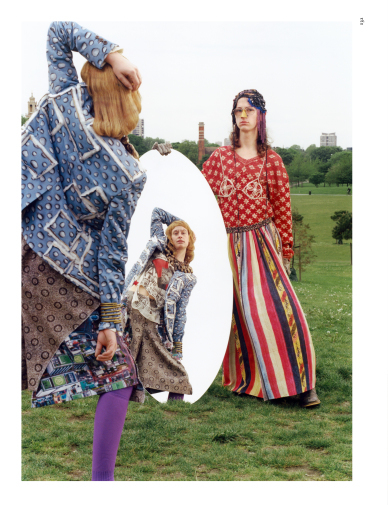 Photography by Hanna Moon, styling by Agata Belcen, hair by Kiyoko Odo, make-up by Nami Yoshida, set design by Suzanne Beirne. 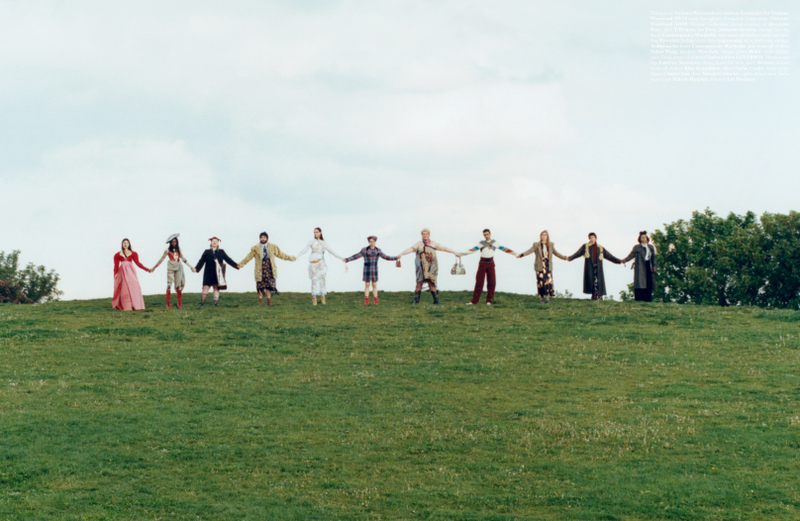 Featuring: Jaana-Kristiina Alakoski, Tasha B, Holly Blakey, Karim Boumjimar, Matty Bovan, Emma Breschi, Rhianne Burnett, Louis Chen, Zenobia Voegele-Downing, Harry Freegard, Elizabeth Farrell, Joshua Gordon, Saffiyah Khan, Andreas Kronthaler, Adam Leach, Jess Maybury, Zaina Miuccia, Declan Needham, Frejya Newsome, Wilson Oryema, Greentea Peng, Daisy Sanchez, Ryan Skelton, Vivienne Westwood, Anna Veglio-White, Ilhan Yonis.